You have decided to remodel your home, but do you know what you are going to do to make it look different? While hiring a contractor might be the easy way to get the job completed, there are some projects you can do yourself that will make your home look amazing. This is one of the first things that people will see as they arrive at your home, and it is also the first thing you will see when looking out the door or window. Why not make the yard beautiful while adding value at the same time? Clean up some of the dead limbs and plants around the yard, and fertilize the lawn so that it is green in the spring and summer. You can add flower beds around the home and near the road or sidewalk. A little water and soap go a long way when it comes to cleaning the outside of the house. You can use a water hose to wash the side of the house, or you can use a pressure washer so that you can remove a larger amount of dirt and mold form the home. Pressure washing can be done on homes with siding or brick. As guests enter the home, don’t expect them to look at clothes and shoes laying over the floor or a dirty rug in front of the door. Take the time to make the entryway look presentable. Keep the doors clean, and fill in any scratches with putty. Add a new rug or mat in front of the door for people to wipe their feet. 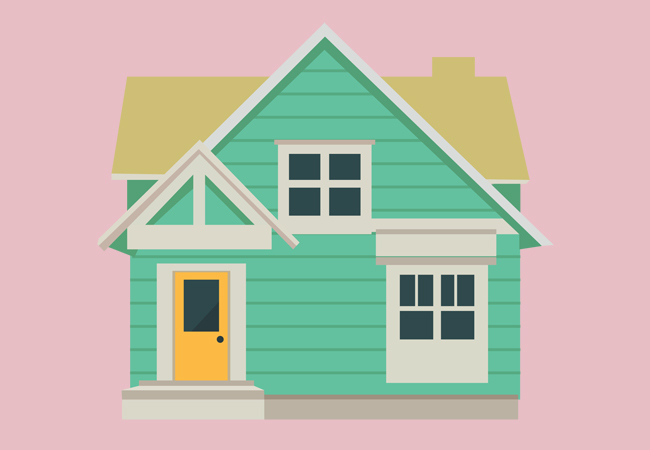 Doing simple things like painting your door and adding potted plants to your front porch give buyers the impression that your home is especially valuable. Just remember not to display anything too personal, like a wooden plaque of your family’s name, on the door, as this could turn buyers off. An elaborate door knocker or knob can add a touch of class, as well. This is the one room where everyone in the home is sure to go at some point. Make the bathroom sparkle with only a few techniques. Create a theme for the bathroom so that everything is coordinated. Use home renovation software to see what colors will blend well together. You can also change the items in the room to see what decorations look best. Offer somewhere comfortable to sit by updating your couch and chairs. You can also change the paint in the room. You can look in magazines to see the latest styles and colors in flooring and walls. Display knick knacks around the room so that they reflect your personality without being too overbearing. Increasing the value of your home may be easier than you think. And with all of the possibilities, it’ll certainly add some value to your home as well. Here are five great home décor projects that are helping homes sell more quickly and, best yet, that you can do on your own. New paint is likely to be one of the most effective ways of upgrading your home with new décor. All it takes is a brush and a few layers of paint, and you can add an entirely new looking scheme to any room in your home. You can even upgrade each room as you choose, painting each one as you feel necessary. Having things lying around your home is never a nice image. Instead, a messy home can quickly lose value and end up staying on the market for much longer than hoped. However, recessed storage is a great way to improve your living space. And the best part is, you don’t even have to take up extra space in your room to do so. Instead, simply put in cabinets or shelving inside walls that already exists. Installing windows may be one of the tougher DIY home décor projects, but that doesn’t mean it’s impossible. In return, new windows add plenty of new lighting to your home and can really open up even the smallest of rooms. It’ll take a bit more work, but new windows are a décor upgrade that is worth the effort. Adding new flooring to your home is another décor project that can be done on your own. Hardwood flooring is often highly desirable by potential buyers and can easily increase the value of the home on the market. And if you need help getting rid of some of your stuff while you remodel your own floor, be sure to consider storage units such as Extra Space Storage in Los Angeles. Clearing everything out of the way and storing it safely will allow you to easily convert your old to new flooring. Your floors can make a drastic difference in the attractiveness of your home’s interior. While you may spend between $600 and $900 replacing the flooring in your home, you may be able to list your home at $2,000 more than what you would if you didn’t make this home renovation. Materials like floating cork are particularly affordable, and engineered hardwoods always give your home a warm and welcoming feel. You can completely change the tenor of your home by selecting apt flooring. Luxurious carpet, durable laminate floors, and beautiful tiles can last for years, keeping your home beautiful. Choose colors and patterns you like that will work with a variety of decorating and design options so that you don’t have to select new flooring every time you want a fresh look in a particular room. When you want to spend your savings on your home, make sure you invest wisely. Spend money on projects like these that will improve your home’s value and save you money in the long run. When a potential buyer first enters a home, they want to have a personal connection and be able to see themselves making memories here in many years to come. The best way to do that is with an impressive foyer that is both beautiful and inviting. By adding a few floral arrangements or mirrors, or even making the foyer one of the rooms you paint, you can make for an entryway that is unforgettable. Whether you are selling your home and want to increase the value or you simply want it to look better, there are some projects you can do yourself. If you’re having trouble managing your projects around the home you can get more info to help you keep organized right here. Take the time to decide what will look best in the home. Look at online sites to see the various choices before you make a final decision. No one has unlimited funds for home projects and repairs. Since some home updates provide a better return on investment than others, you need to carefully consider which home projects you choose to spend your savings on. Heating and cooling a home can become expensive. You can keep energy costs low by performing regular HVAC maintenance, but a new, energy-efficient heating and cooling system could be the best option. By using your savings on this home improvement, you should be able to save even more money in the future. This home improvement might even make you eligible for tax credits. New appliances make life in your home easier on a number of different levels. A new refrigerator might provide better food storage. A new washer and dryer set can help you keep your family’s clothes cleaner. When spending your savings on new appliances, look for ENERGY STAR rated products, which will help you save money on your utility bills and perhaps rebuild the savings you depleted by purchasing new appliances. A new garage door can add to your home’s value and your home’s security. Most garage door installation companies will provide a free in-home consultation to explain options to you. Select a door that complements your home in order to add curb appeal. If you’re putting your home up for sale, you’ll want to make the property as appealing as possible for potential buyers. Even if you’re not quite ready to sell your home, there are still a number of simple ways you can add value to the house so you’ll be prepared for a sale when the time is right. These ways to make your home more of a commodity could give you the ideas you need for your next home improvement project. Put a few plants in your front or back yard: choose flowers and shrubs that will thrive well in the area where you live. For instance, if you live in Lancaster TX, plants that are resistant to drought and thrive in the heat. Plants like pink muhly grass can give off a beautiful bright lavender color, or white mistflower, which grows in shrubs, are a suitable choice. This way, you can be sure that your yard looks lush and healthy, no matter what time of the year you show the home. To make your home more appealing to those who would be interested in buying it, knock out a wall in your living room to combine the living room and den spaces for a more expansive family space. Or, replace the kitchen island that takes up most of the space in your kitchen and replaces it with a smaller island with wheels. This gives the look of more square footage and will likely be more attractive to buyers who are looking for homes with lots of room. This is especially a good option for people whose children have moved out since they likely have several empty rooms. A new home alarm system that makes you and your family feel especially safe will likely do the same for interested buyers. Systems that allow you to see what is going on around your home even when you’re not there, like the Vivint home security program, are ideal, since you can do things like adjusting the temperature of your home, turn the lights on and off, and alert the police remotely from your cell phone or tablet if you see any suspicious activity. Alarm systems these days are getting more and more complex, often combined with home automation systems that can really set your property apart. We are nearing the smart house era. Full-length glass doors in rooms like the den or living room provide a full view into the backyard. This ups your home’s value, especially if you’ve got a stellar garden or a pool. Buyers are also attracted to this because it makes them easy to watch their children play outside and lets lots of sunlight in, which can save on energy bills. Putting a little work into your home can help to get it off the market quickly. These features will also help you enjoy your home much more until you decide to relocate. With summer fast approaching, many people have a long list of home improvement projects that need to be taken care of. There is no better time to take care of any projects than during the warm, sunny weather, particularly these five projects. If the shingles of your home are in disrepair, summer is the time to fix them. Summer usually brings with it torrential downpours and severe wind storms, and homeowners with damaged roofs might find themselves scrambling for buckets when a leak starts. Take care of the shingles now so you don’t have a wet floor later. Fenced in backyards are the stuff of dreams for most homeowners, and summer is the perfect time to get started. The late evening temperatures are just right for spending time out in the yard building, painting, and digging holes for the fence. And even if there happens to be a bit of rain now and then, it’s not an issue – fences are designed to get wet. The creepy crawlies tend to come inside during winter for warmth. With summer on its way, now is the time to find a company to handle any pest infestation you might have. Experts such as those with Pest control in St Petersburg FL will tell you problems can get a lot worse if not taken care of immediately. With all of the warm weather and the summer rain, plants are going to be sprouting up left and right all over your lawn. Make sure to stay on top of this growth so it doesn’t completely overwhelm you, use time in the yard to plant a garden, establish growing areas, and mow the lawn. If you want to start a garden, now is a great time to do so. Adding landscaping to your home is an effective way of adding appeal from the outside. First impressions are very important when it comes to selling a home, so the décor that you put on the outside can leave a lasting image on those who are interested in buying your home. Every homeowner understands the importance of curb appeal. If you want to spend some money on your home and make sure the neighbors all know about it, splurge on landscaping. Make your outdoor space look great, and you’ll become the envy of the neighborhood with a professional landscaper to help you clear land so you can have more space to do what you want with your lawn. For a green idea that will help save money on utilities in the future, incorporate a well-placed tree into your landscaping. This will help to shade your home during hot summer months and reduce cooling bills. Summer and fall are barbecue seasons. By building a deck or outdoor patio, you can have friends over all the time to enjoy the lovely evening weather and eat some fantastic food cooked on the grill. If you aren’t much of a do-it-yourself kind of person, consider hiring a professional to help you install the deck. Better to build it safe than to be sorry later. Summer, with its warm temperatures and relatively calm weather, is the time to tackle any important home improvement projects you’ve been putting off. Get them taken care of before winter hits, and you’ll have a much easier go of it. A homeowner can often do small projects to save money. While a person can do small tasks, they should delegate large home improvement projects to a trained professional. With that being said, here are five tasks one should outsource to a qualified contractor. Most people do not know how to work on a heater or air conditioner and should not even try. Fortunately, one can, with ease, find plenty of heating and AC specialists who can do the job right the first time. A person should call an expert such as air ability heating & cooling and as they are quality heating & cooling in Indianapolis. An amateur who tries to work on the electrical system of the house can cause serious problems. Sadly, many still try to end up injured or dead. To avoid this problem, a homeowner should call a local electrician who can find the problem and fix it quickly. Some people will unclog a drain and think they know how to do a plumbing job. Unfortunately, most issues are more complicated than this and require a professional to fix the problem. Fortunately, a qualified plumber can fix almost any issue quickly and let a homeowner live comfortably in his or her house. Some families will try to run out and buy roofing materials and complete the job without hiring a qualified professional. This is a mistake as one false move and a person can slip and fall; this can result in a serious injury or death. Furthermore, this is a complicated task that an amateur cannot complete on time or correctly as it is not as easy as putting up some roofing material. Without a doubt, one should steer clear of this contracting job unless they possess the knowledge and qualifications to put up a roof. When a house has asbestos, some want to save money by removing the material without hiring a professional. This mistake can lead to dangerous consequences; if one removes this hazardous material incorrectly, people may breathe it all in and suffer from health problems. In fact, over time, asbestos can cause a person lung cancer and even death. Luckily, a homeowner should not have trouble finding a hardworking and dedicated professional who can remove the old material. When doing it without a professional, one can get the job done without spending too much money. However, with these five examples, one should use a professional. Attempting to change the look of your house and increase its value may seem overwhelming at first, but there are a few small, simple things you can do to make a big difference. The types of trees and shrubs that can be added to the landscape are almost endless. Even a few new trees, placed at strategic points around the house, can give the entire property a whole new look. Lining trees along both sides of the driveway look good when the trees are young and even better when the trees grow. If you’re looking for trees that will create a canopy over the drive as they mature, Red Maples are a good choice, growing quickly and providing your yard with a stunning burst of color. Using bricks is a beautiful way to instantly upgrade your exterior. You don’t need to replace all the siding with bricks to revitalize the outside—using brickwork in a trim or in combination with siding looks elegant and has a classic charm. Entrance features, such as brick columns on the sides of the front door, can add instant style to the front of your home. Adding a decorative arbor not only changes the look of your garage, but provides a place to hang plants, lanterns, and other items. Arbors come in a variety of styles and sizes and can be made from wood or metal. Even installing a new garage door can do wonders for the exterior of a home. Replacing a plain garage door with one that has windows and trim gives the outside of the home a completely new look. Putting in a front porch will add value and totally change the look and feel of the home. For older houses, homeowners can go all out with a wrap-around Victorian style porch. Thick columns and a fence are great finishing touches for almost any porch. Adding shutters around the windows can dramatically change the look and style of a house. Shutters come in a wide range of material including wood, vinyl, and aluminum. Even if you already have shutters, changing the color and the style of these will easily change up the look of any home. Sometimes the simplest changes can create the greatest impact. The most beautiful homes are the ones that reflect the care and style of the owner, so be as creative as you want while implementing any of these changes! When owning a house, you will often want to spend some money to make it feel like a million bucks. Of course, since most people do not have a lot of cash to splurge with, it is easier to add inexpensive amenities that still make the home feeling great. With that being said, here are three amenities that will make your house look and feel like a million bucks. Without a doubt, when relaxing in a spa after a long day at the office, you can feel great. Since a spa or hot tub is not too expensive, this is an easy way to add to the ambiance of the yard. According to bullfrogspas.com, while other amenities are not useful all the time, a spa is great as you will enjoy laying back and enjoying the warm water all the time. Simply put, when looking to impress guests and have a great time, you must install a spa in their yard. It is inexpensive and easy to convert a room into a game room. This is a popular option for empty nesters who have a lot of free room in the house. To get started, you should buy a dart board, pool table, and big screen television. Of course, you may prefer Ping-Pong or other table games. Either way, when buying used and taking the time to look at the best options, you can make a nice game room that you will enjoy for a long time. Remember, with the right games, you will save money in the long run as you will not have to leave the house to have fun at a bar or local restaurant. With a nice putting course, you can have a lot of fun and impress your friends. Furthermore, when setting this up, you will have a lot of fun as it is enjoyable to set everything up and cut the grass in the right way. Since this is not an expensive addition, you can go all out and buy a cool set of putting clubs and even customize the setup. Simply put, if you like golf, you will love a nice putting green in your backyard. With these three ideas, you can make your house look and feel like a million bucks. Since these ideas are not expensive, you should have no trouble in justifying the investment.